Step 3:Choose your favorite Center & Crucifix. 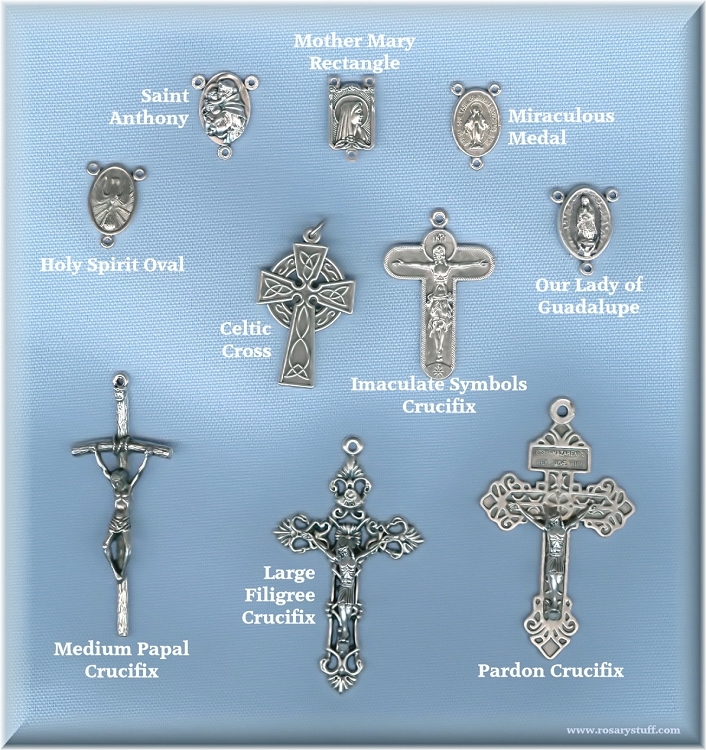 You may choose from those pictured above, or click on these links (Centerpiece Choices, Crucifix Choices, Matching Sets) to see All of your available options.Remember, if you would like to see a picture of your beads and parts together before ordering please don't hesitate to contact me. Step 4:Medals and charms are a great way to add character and individuality to any rosary.Click here to check out what's currently available. Do you love this color? 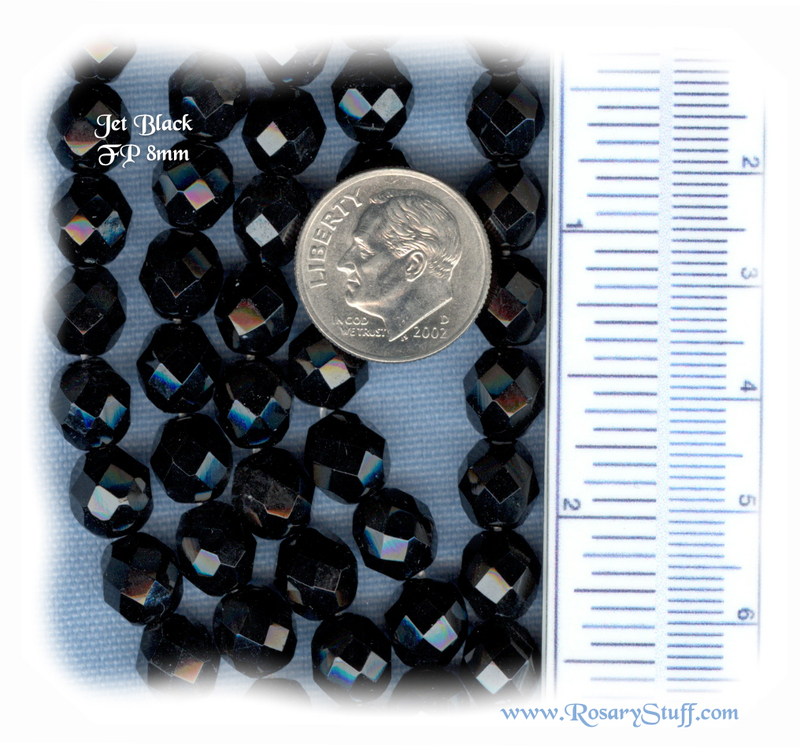 Click here to see ALL of your black glass & crystal bead options.